For every student that completes one of our dog care courses, we make a donation to the SPCA. On a recent visit to the SPCA in Auckland we found their efforts and facilities to be incredible and we fully support them in their fight for the safety of animals. The Career Academy offer a range of Pet and Animal Care courses. 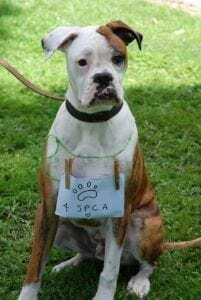 SPCA New Zealand have reviewed our course materials. A totally OARSOME charity event! The Career Academy helps to raise $20,000 for Spirit of Sharing. The Career Academy’s director swapped his suit and sharp pencil for a buoyancy aid and kayaking paddle recently. 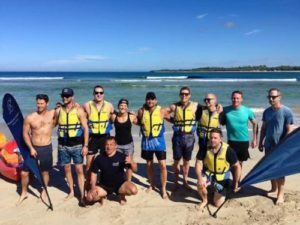 Daniel Hunt took advantage of a once in a lifetime opportunity to compete against NZ Olympic Champion sprint canoer, Lisa Carrington, to raise funds and awareness for a great cause. Along with about 200 other business owners, Daniel was attending Nurture Change 2016 in Fiji where Lisa was one of the motivational speakers. Her presentation was so exhilarating that it inspired some of the delegates to come up with the race idea – and fortunately Lisa was more than happy to oblige! Eager participants were divided up, some individually, others in pairs. It was a 100-metre sprint. What were the results? “Well, I came third,” says Daniel, “but Lisa won by about 50 metres!” he laughs. The participants had chosen to support the work of Spirit of Sharing. This charity’s ultimate goal is to enhance the lives of more than 1 million youth in the Asia Pacific region through educational, sporting and fitness projects. The $20,000 raised by this particular event is being put towards their project to bring twelve young Fijians to Auckland for the 2017 Festival for the Future. The Festival “is about celebrating what’s possible.” Young entrepreneurs, musicians, scientists and students gather together for one weekend to connect with all kinds of people, and develop their skills and ideas for a better world. It’s been described as “New Zealand’s most inspiring event.” More than 550 people attended in 2015, including emerging leaders from 20 Pacific nations.